‘Tis the season for candy canes, elves, and Holiday cheer. With Christmas right around the corner, now is the time to start preparing the countdown. We like to have a lot of fun with our Christmas Countdown in my household, and one way that we do this is with an Advent Calendar. 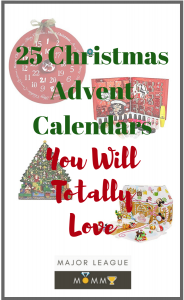 If you would like to try out an advent calendar this wonderful holiday season, you will definitely want to consider one of these 25 Christmas Advent Calendars You Will Totally Love. This Snowman Advent Calendar mimics a clock making it absolutely perfect for a countdown, and super easy to hang in any room for easy access. Store small (but amazing) gifts in each of the little pockets on this Handmade Felt Calendar for a Christmas Countdown that is full of pleasant surprises! Simplify your Christmas Countdown with a Magnetic Tree Advent Calendar that the family can decorate more and more each day leading up to the big event! The children will have fun adding to this beautiful nighttime scenery as the days move closer and closer to Christmas. Each drawer reveals a magnetic piece that can be added to the scene to create one beautiful piece of art. This Musical Advent Calendar is sure to bring some holiday cheer into the home! Store small surprises in each of the compartments to accompany the cheerful holiday tunes. The family will enjoy seeing what the Peanuts gang is up to this time as they work their way through each of the windows on this Christmas Advent calendar. Add small gifts to each of these sacks for a fun-filled Christmas countdown the kids will never forget. Hide fun surprises in each of the 24 doors on this elegant Christmas Tree Advent Calendar. Reveal a new surprise each day as you open a new window every day throughout your countdown on this super cute Advent Calendar. Store a fun surprise in each of the drawers on this fun little piece of Christmas decor to boost the excitement each day as it gets closer to Christmas. Add more and more into the image of this Nativity scene using felt figures you will pull out of a pocket each day of your countdown. This sturdy wood Christmas House doubles as an elegant piece of holiday decor while simultaneously serving as a Christmas Countdown tool. Open each drawer to reveal the day’s special treat, and then turn the drawer each day to create a new image. This solid pine wood Advent Calendar can serve you throughout your Christmas Countdown for many years to come. How many of us can say that we’re using a single candle as our Advent Calendar?? Cool, right?? It’s okay to keep it simple around the holidays. And this Vintage Santa Countdown is an adorable way to do just that while counting down the days to the big event. The entire family will enjoy reading the fun facts behind each window on this vibrant Christmas House Advent Calendar. Decorate this fabric Christmas tree more and more each day of your countdown, using the velcro stuffed figures you remove from the pockets. Track the days leading up to Christmas with a small gift hidden in each of the pockets of this burlap Christmas Tree Advent Calendar decor. Fill your home with a ton of Christmas cheer with this absolutely beautiful Wooden Village Advent Calendar. This cute little Christmas Santa holds tiny pockets that can be used to store small gifts throughout your Christmas Countdown. Create a beautiful accessory gift while doing your countdown this Christmas. This is such a great idea! 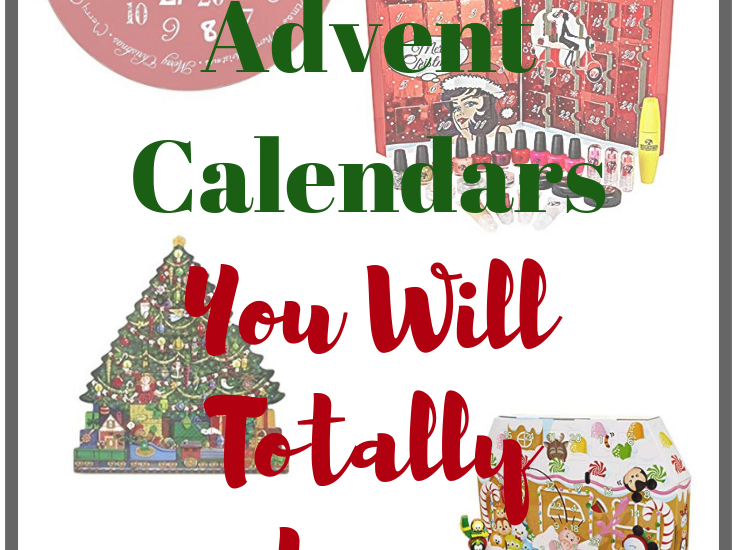 This advent calendar is perfect for fans of Dr. Seuss! This is a super fun way for you to countdown to the big day. Emojis are totally in, and this fun bracelet will definitely make a great gift at the end of your countdown. This Classic Christmas Village is not only a luxurious piece of holiday decor, but it is also serves as a super unique Christmas Countdown tool.